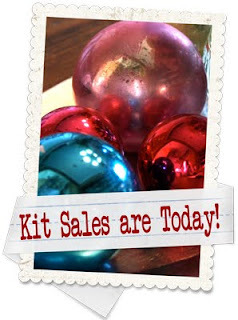 Joli Paquet: It's Kit SALE Day! We are so excited about the Holiday Kits! We hope you are just as excited. Everyone worked so hard to create a Holiday crafting kit that you can enjoy making for the holidays. They make great gifts or you can keep it for yourself! See the previous two posts for all the shop links for kits! We also want to thank you all for supporting Joli Paquet! We so appreciate you spending time with us and your support! Happy Holidays from all the gals at Joli!!! I am very excited to purchase some of the kits but a few transaction wouldn't complete because I'm in Canada - I sure hope it will still be possible to purchase them - I did convo the shops begging lol - so hopefully they won't sell out on me!!! Btw I LOVE your blog - you have such amazing ideas! Thanks for sharing!!! !